This beautiful girl with the strawberry blonde hair, eyes that sparkle, and a smile that lights up the Internet is Bridget. Recently, Bridget was diagnosed with PACS1. I bet you’ve never heard of it. It’s an extremely rare genetic mutation that has affected only 20 children in the entire world. PACS1. I encountered Bridget in the extraordinary blogosphere where one click leads to another leads to another led to this mesmerizing photo. Bridget’s smile reached through the screen, over thousands of cyber miles, and made me smile too. Undiagnosed but Okay, read the banner across the top of the blog. That mesmerized me. Who, I wondered, is undiagnosed? This little girl? Her mom? Someone else? And why are they undiagnosed? Why are they okay? Bridget’s mom, my friend Kerri, is a working wife and mom of two. She always knew that Bridget had an unknown syndrome and she writes about life in general, but specifically about raising a child with special needs. According to Kerri, many physicians are unaware of the existence of PACS1. Bridget has had multiple genetic tests during her life, all of which rendered nothing conclusive. Undiagnosed. Through a series of clicks, a reader of Kerri’s blog shared the name of a doctor, and thinking it a long shot but trusting her instincts and the voice of a virtual stranger, Kerri embarked on a journey. And discovered PACS1. This doctor examined Bridget’s DNA strand by strand, and found the PACS1 gene mutation. 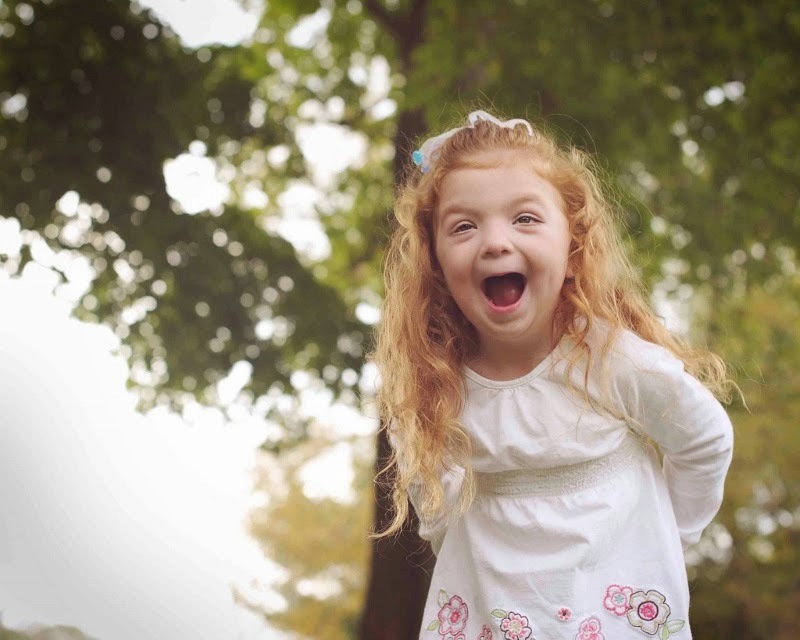 The orphan disease registry revealed 19 other children with this syndrome. So rare. So difficult to find. Because so few people, parents, doctors know about it. Now diagnosed and still okay, Bridget and Kerri are no longer stumbling about in the land of the unknown. And they want to bring awareness and attention to this rare syndrome, so that parents will not be satisfied with “I don’t know” and undiagnosed. Even if okay. So that doctors will know to look for it. So that complicated genetic testing will be available to all. So that insurance companies will approve expenses. All you have to do (no donation required) is click here. Join us. Just click. This entry was posted in Exploring Family and tagged #1000Speak, click, DNA, genetic syndrome, PACS1 by Nicki. Bookmark the permalink. What an infectious smile! Thanks for sharing this. Learned something new and gladly clicked like! I posted a on my Facebook (blog) page, and dumb FB only showed 58 people. Shared on my own page with the hopes for a better reach. Amazing what a click can do, isn’t it? Dana I laughed out loud when I read “dumb FB” – when it works it’s amazing and when it doesn’t, so dumb. Learning the power of these clicks more every day! It is amazing what one click can do and what a great illustration of this through Bridget’s story. I will share on my FB and hopefully it reaches more than 58 people. Facebook is so baffling sometimes. Thanks so much for coming by and for sharing, Katia! If I didn’t love you before, which I did, I love you more now for sharing. <3. Here's to a million clicks. For all of the things that matter. You’re so generous to make the cause more widely known! I love the bloggers who convened on that day for such a beautiful girl, a wonderful story, and the mom behind it all. It’s an honor to know them both. Thanks so much for doing this. Thank you Eli for coming by and leaving a comment. And for being such a support to Kerri and Bridget.